Spirits of nature are whispering to us of what’s to come. As proud as always free American natives we hear this call. So, as we feel the gusts of icy winds from the north, the long and harsh winter is awaiting us. Take the role of one of the chieftains of the four tribes and, no matter what it takes, you have to prepare to face this great peril. The game is for the ones who like something simple, and also for the ones who are not afraid to meet complexity in games. Begin with a small camp and turn it into the great tribe with lots of goods in warehouses, totems and scalps of your rivals. Improve your tribe of Natives using one of available ways or discover your own strategies to win. Rules in the game Natives are quite simple. In the beginning of his turn the player reveals one card from the deck, then takes a card or several ones from the face up ones to his possession: new people to the tribe, totems, rites or food. Just remember that at some points one most needed card is better than three completely random ones. In the beginning of the game shuffle the deck and place the “Winter is coming” card near the bottom of it. Place the deck face down between the players. Open the top 5 cards and place them face up — this is the Prairie. Now each player chooses the tribe of Natives, which he will be guiding to prosperity during the game. 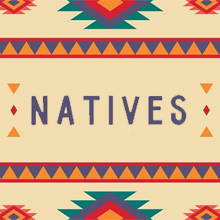 All tribes differ only by names of their inhabitants and colors of their mats, not affecting the gameplay. Players act clockwise. In the beginning of his turn the active player reveals a card from the deck and puts it to the Prairie. If he doesn’t like current Prairie, he can continue revealing cards with Scouts. This action can get a better combination if you’re lucky, or give something valuable to your opponent, if you’re not. The active player can take cards from the Prairie by using one of his dwellers: Elders allow to widen the tribe; Shamans can perform Rites and create Totems; Warriors bring scalps; and Hunters, Fishermen and Farmers allow to take food cards, each of corresponding type. The more men and women of the same occupation you have, the more of the same certain cards you can take at a time. When the “Winter is coming” card is revealed, the game is next to an end, and victory points scoring will soon begin. Points are given for all achievements: increasing population of own Natives, taken scalps, food in warehouses, rites, totems and even your people in other tribes. Player with the most number of victory points is the best chief. This game reminds of Inuit: The Snow Folk. Is there a link between them? Yes, Inuit: The Snow Folk is redisigned Natives. If I take a woman or a man card with Elder’s ability, can I make an Elder out of the new Native and use this ability to take another card? You can’t. Newly recruited Elders cannot use their abilities on the same turn they came to the tribe. May I take Rites and Totems with Shamans on the same turn? Or do I need to choose one type of cards? You can take Rites and Totems at the same time as long as the number of your Shamans allows it. If, for example, I have two Shamans, may each of them bring me a Rite and a Totem? Nope. One character can bring you not more than one card. Let’s say, I have three Scouts. Do I need to say the exact number of card I wand to open this turn? No, you open cards one by one and you can stop this any time you like. You don’t have to use Scouts, if you don’t want to. It is known, that women in this game belong to two tribes at the same time. Does this mean, that each card of a woman will give 1 victory point to two players at the end of the game? Yes, if both players of these tribes are in the game. RU Let's learn how to scalp properly!